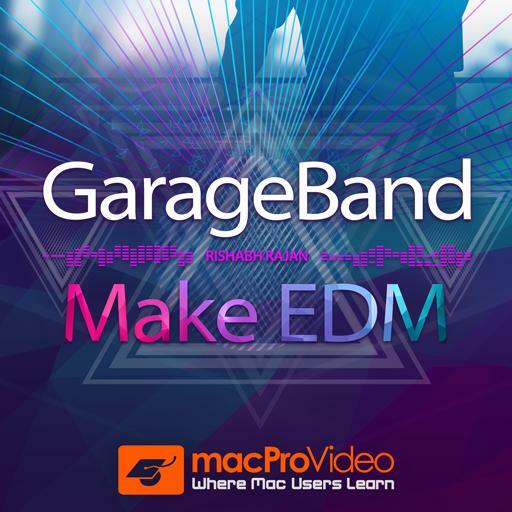 GarageBand 301 - Make EDM. Apple Loops have a fixed Length. True or false? Monophonic Synths only let you play one note at a time. True or false? What is the Key Command for splitting regions at the playhead? Option-Down Arrow will move the selected notes down a semitone. True or false? Command-T will split the selected region at the playhead. True or false? Which parameter needs to be automated to create a fade out? Region Transpose option will transpose all notes in the region. True or false? Quantizing a MIDI performance will fix all issues. True or false? Can individual plugins on a track be edited? How is the Exciter plugin labelled in the Smart Controls? Apple Loops will automatically follow the session tempo. True or false? What is the Key Command for Soloing the selected track? Option-Dragging a region will make a copy of the region. True or false? Drummer Track follows the Arrangement track. True or false? What is the Key Command for opening the Automation lanes? What is the MIDI Pitch Bend range limit in GarageBand? Under which tab is the Arpeggiator controls? The Bass generally plays the lowest note from the chord. True or false? "Move Track Automation with Regions" is under the _____ menu. Option-Shift-Up Arrow will move selected notes an octave up. True or false? The Master Level affects the overall volume of the session. True or false? What is the Key Command for opening the Editor Tab? You have answered 0 out of 24 questions.